Bill's new book "Down Roads Less Traveled" Volume 11 is now available for purchase. Again using the "Old Master" techniques Bill has created eight more projects for you to learn the ways of the old European painters. There is a reproduction of a John Constable "The Hay Wain" and "The Foothills". There are six other projects including a "Kolb Studio" in the Grand Canyon, a "Alaska Cabin" a great old cabin, "Billy's Barn" an old Tennessee barn, "Engine 473" a train on the Durango/Silverton RR, "Red Rock Canyon" in Utah and "Sailing Home" great old sailing ship. Order your copy today only $13.95. Bill “Ridley” Bayer began painting as a hobby in 1988. The following year he studied with Bob Ross and became a certified instructor of Bob’s wet on wet technique. He has since studied with many other well know Bill Bayer artists developing his own style of painting. 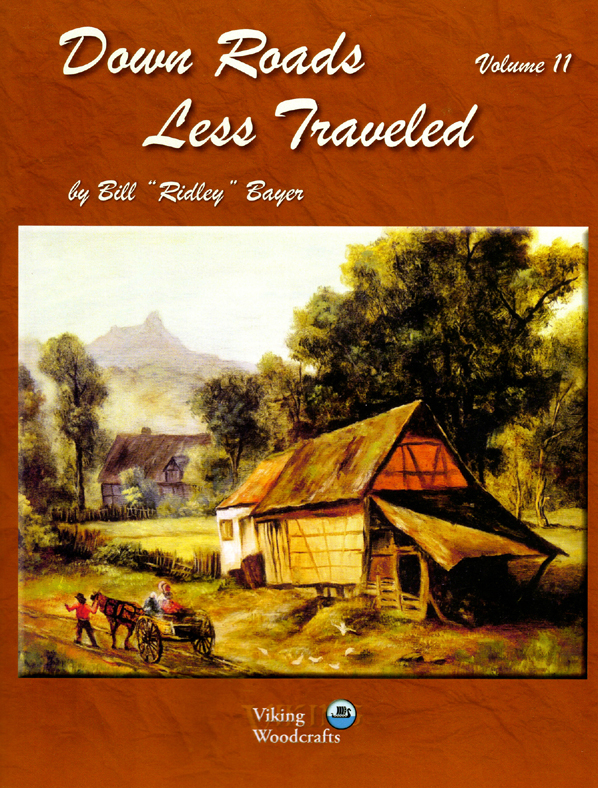 Bill has published five instructional books and three DVD's titled "Down Roads... Less Traveled" showcasing his talents.